Perhaps no one plant has shaped the modern world as much as tea. Originating in China and second only to water in global consumption, its cured leaves, steeped in boiling water, are a kind of timepiece for daily life around the world, a palimpsest of history and trade and taste. From breakfast conversation on tatami floors in Tokyo to afternoon banter along the Thames and late-night storytelling in Morocco, chai fills more than just our empty cups. In Turkey, where I live, black leaf chai is the currency of relationships. Turks drink it all the time. At every occasion. In every place—on kitchen carpets and road construction sites. Turks drink more tea per capita than anyone else in the world. As much as I enjoy a straightforward, fingertip-scalding glass of Turkish black tea, chai’s diverse tastes can be a vehicle to explore new people and places. Across the seas, the many intonations of tea are like guidebooks to local culture, culinary and otherwise. The British first stole tea plants and technique from the Chinese in the 19th century and brought them to India. At the time it was the empire’s canny economic move to lower the price of imports and, at the same time, boost sugar exports. Today, India is the second-largest producer of tea in the world. 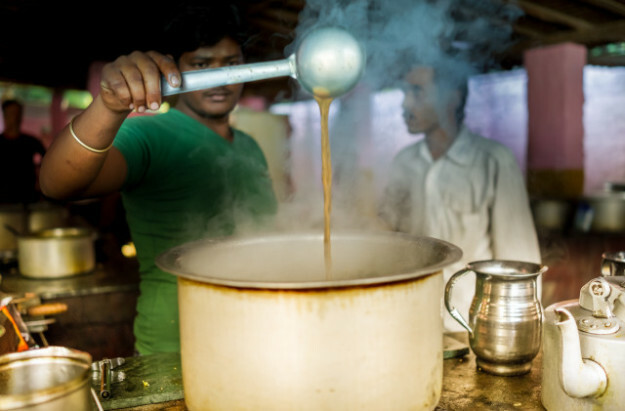 Tea stalls sprinkle the streets of every city, allowing pedestrians to grab chai all hours of the day. Not only that, but the Indian people have one-upped British twice-daily tea with the addition of their signature aromatics. Masala chai is the favored tea drink of India. While the recipe remains open to exploration, black loose-leaf tea, such as Assam, forms the common base. Lemongrass boiled in water infuses a soft tenor to this otherwise bold brew. Tea is added to the boiling water along with equal parts whole milk for richness. A combination of warm spices like ground ginger, green cardamom pods, cinnamon, and star anise finish off the drink which is then simmered and strained. Thailand’s tea tradition is at once both old and young. Despite its proximity to China, tea as a beverage dates back only a handful of decades. However, native tea trees can be found in northern Thailand, and for centuries hill tribes have consumed wild tea leaves in dishes such as letpet and miang kham. These leaves, pickled like their grape counterparts in the Mediterranean, are stuffed with dried fish or shrimp, garlic, ginger and spices. Around the 1960’s, China and Taiwan introduced chai cultivation to Thailand. Since then, oolong (black dragon) tea production has grown in the region. 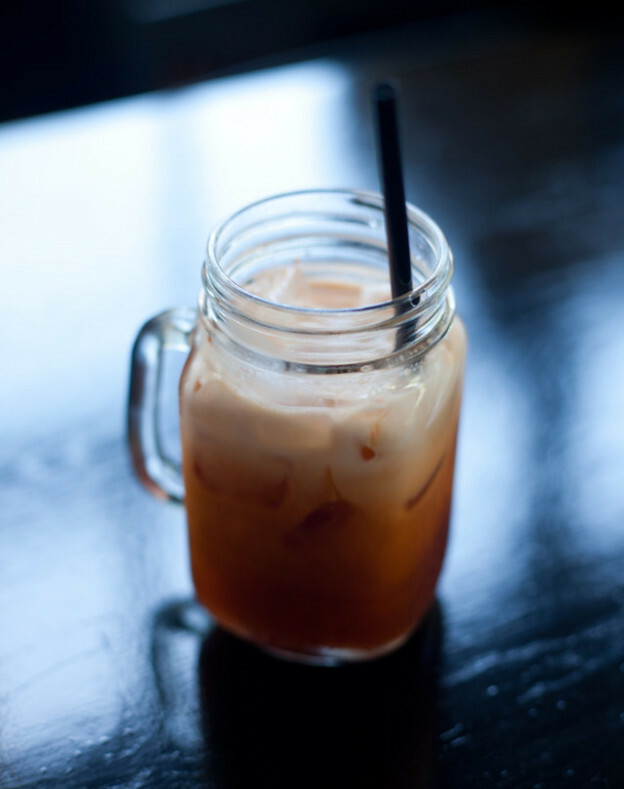 Thai tea is typically made with high-quality Ceylon (from Sri Lanka), but can also be made from other black teas and those native to Thailand. Orange blossom water and star anise can lend a tropical note to the potion. Other spices and red food colorings may also be incorporated. The drink is typically sweetened with sugar, condensed milk or coconut milk. The final mixture is finally poured over crushed ice and topped with rich evaporated milk. On the streets of Bangkok, this refreshing yet syrupy swill is served from market stalls in plastic bags or cups. Meanwhile, the proliferation of Thai restaurants in the West has glamorized Thailand’s iteration of the world’s drink. By the 15th century chai began to overtake coffee as the beverage of choice in Iran. This had much to do with geography. Tea from China was cheaper to import than coffee from Europe and Africa. 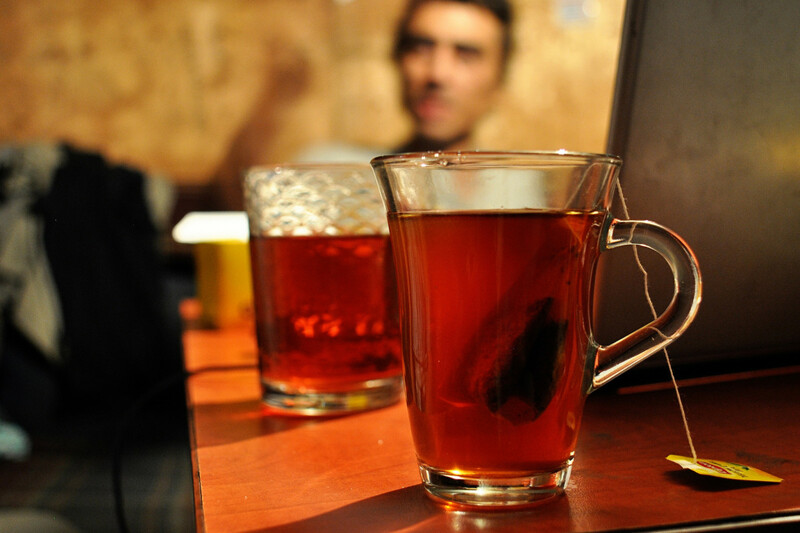 In modern-day Iran, where prohibition is enforced, chai consumption is at an all-time high. However, due to a recent spike in illegal smuggling from surrounding countries, the local tea industry is in danger. The cascading green tea fields of Lahijan overlooking the Caspian Sea are slowly being overrun by grazing sheep and apartment flats. For a distinctly Persian cup of chai, add a few rose petals when brewing black leaf tea for a clear and brilliant accent. Rose water can also stand in for the petals. Saffron, another delicate perfume of Persian cuisine, may be infused. Locals don’t hesitate to drop in a pinch of the costly ingredient, casting an amber glow over the glass. As for sweeteners, rock candy,which originated in ancient Persia in the early 9th century, is an unexpected but uniquely Iranian option. 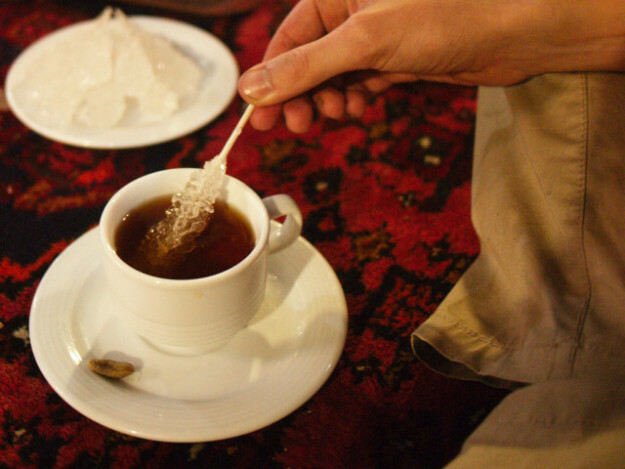 While the great bear of Russia may not be the first nation that comes to mind on the subject of tea culture, this cold nation of the north has a long tradition of hot tea drinking dating back to the 17th century. In fact, some claim tea is, in fact, the national beverage, even more ubiquitous than vodka. The traditional samovar, a polished and ornate tea boiler, epitomizes classic Russian hospitality and has managed to infiltrate much of the Middle East and Europe. 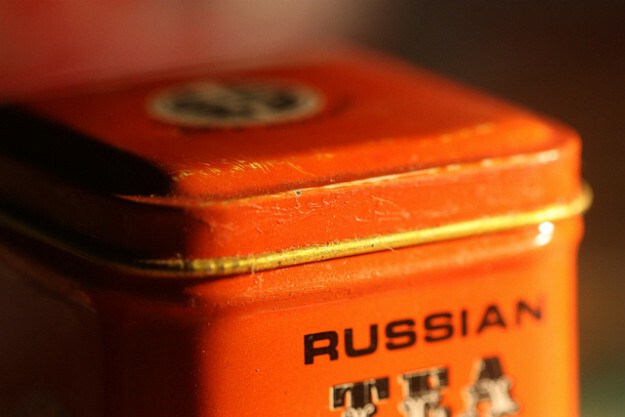 Russians typically prefer black tea, though green teas are increasingly popular. Lemon is often added along with fruit preserves, such as strawberry jam, for sweetness. Somehow in the 1960’s an Americanized version of the Russian beverage started floating around and incorporated, however strangely, newly-invented Tang. Still today so-called “Russian Tea” recipes incorporating powdered drink mixes populate the internet. However, these citrusy fabrications bear little resemblance to proper Russian tea. Brian McKanna is a writer and frequent contributor to EthnoTraveler.